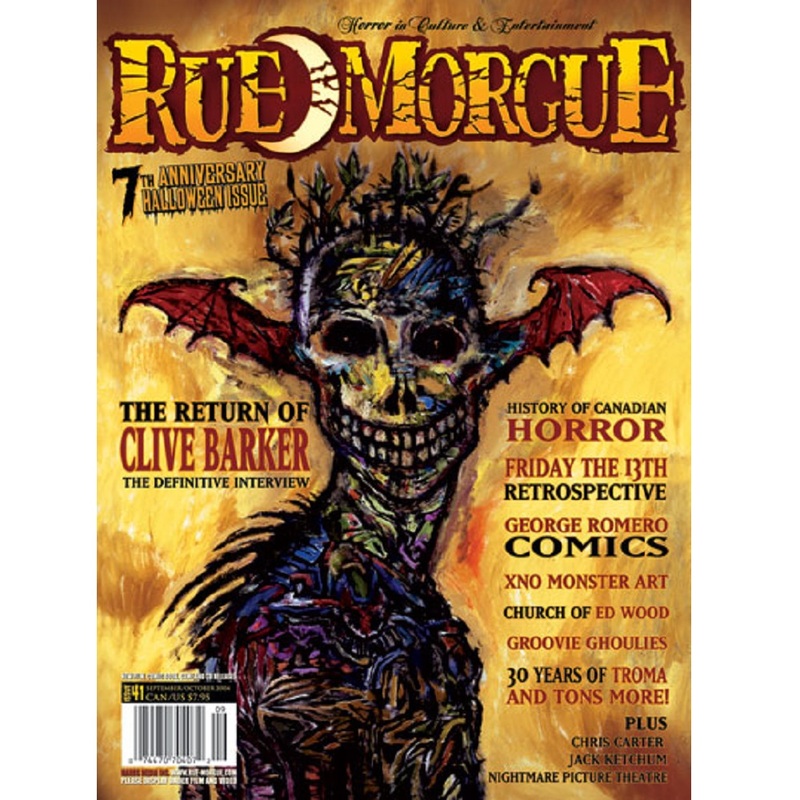 Clive Barker returns to horror! A history of Canadian horror cinema. George Romero brings his zombies to comics. The lowbrow art of XnO. For some, bad movies are religion. Introducing pop punk’s happy horror band. Troma celebrates three decades of perversion and disgust! 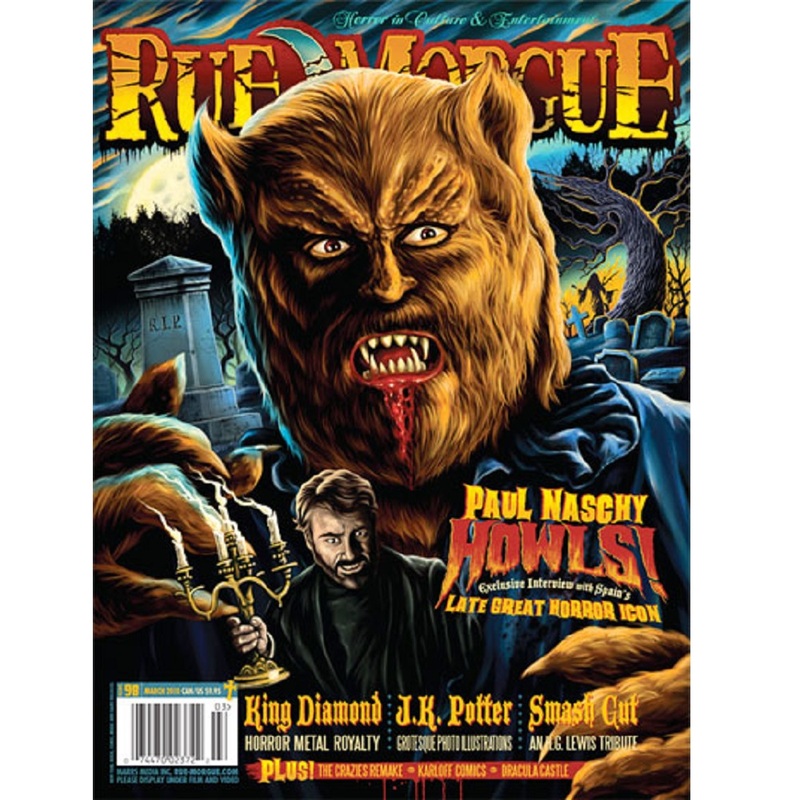 Announcing Rue Morgue’s original production for the stage. Weird stats and morbid facts. The Rue Morgue Sick Top Six Instances of Camp Crystal Lake Killings. Beezle & Bub 15″ plush toys, Dead Heat hot sauce with coffin box, Jack the scarecrow, Suicide clothing. Presents reviews of The Toolbox Murders, The Village, Love Object, One Missed Call, The Eye 2, Malice&at;doll, Happy Tree Friends Vol.3: Third Strike, Long Dream, Decoys, Boa vs Python, H.H. Holmes: America’s First Serial Killer, The Eldritch Influence: The Life, Vision and Phenomenon of H.P. Lovecraft, and more! Man-Thing #2 (of 3), The Milkman Murders #2 (of 4), Remains #5 (of 5), Planetary: Leaving the 20th Century HC, The Nail #2 (of 4). 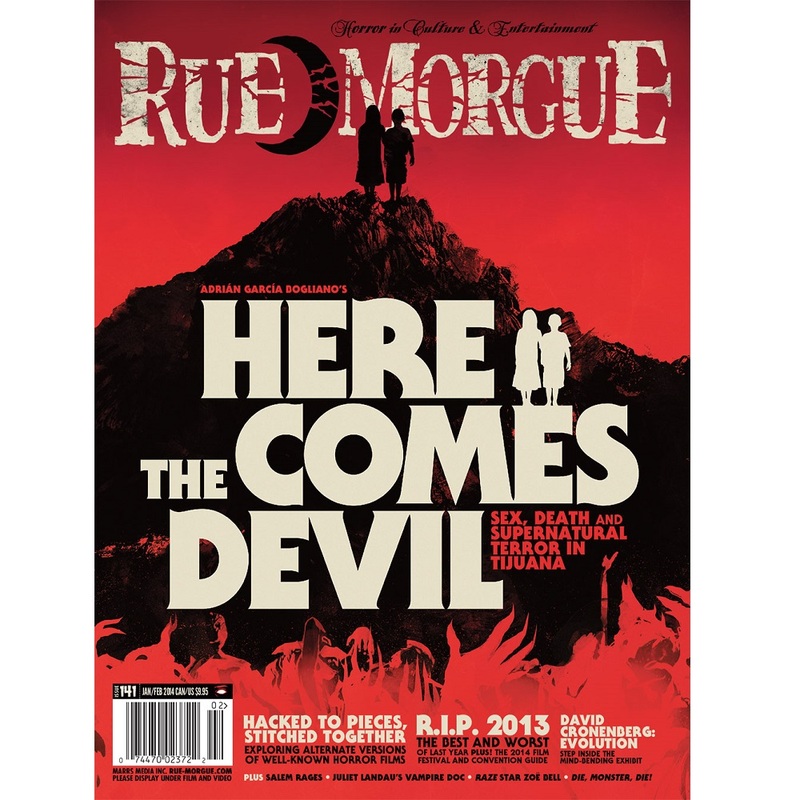 Spotlight on author Jack Ketchum, plus reviews of Alternative Europe, Godzilla on my Mind: Fifty Years of the King of Monsters, The Devil’s wine, Blood Road, The Last Pentacle of the Sun: Writings in Support of the West Memphis Three, and more! Menu: Nature’s benign horror show: childbirth. Spotlight on Skinny Puppy, plus reviews of Dawn of the Dead (score), Terror Tract, Van Helsing, Nox Arcana, Onethirtyeight, The Birthday Massacre, Tiger Army, Dr. Chud’s X-Ward, The Residents, The Hangmen, DBY, Thee Merry Widows, Bloodsucking Zombies from Outer Space, Weird Fiction Horror Compilation, Burning Image, The Video Dead, The Villains, The Rabies, The Lurking Corpses, Send More Paramedics, Atreyu, Gravediggaz, Strange Boutique, Velvet Acid Christ, Die Haut and Nick Cave, Destroy all DJs, Miguel and the Living Dead, Witchcraft, Godhead. Atmosfear, The Haunting House, McFarlane’s Evil Prophecy.